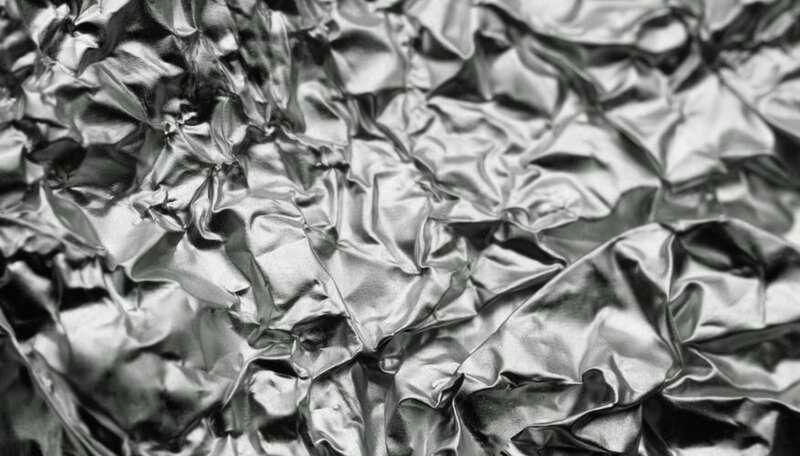 When not insulating hot foods or protecting surfaces, tin foil can be used for conducting science experiments. You can use the conductive properties of tin foil in experiments about electricity, or its physical properties to demonstrate the interplay between buoyancy and gravity. You even can use its chemical properties to fuel a device that will produce and collect powerful combustible gases. Fill a large basin with water, then cut a piece of tin foil that is 5 inches by 6 inches. Fold up the edges of the tin foil so you've constructed a small barge that will float and be able to hold objects inside of it. Then, place pennies into your barge, one-by-one to see how many it can hold before the weight of the pennies is too great and your barge sinks. The two forces at work here are gravity and the buoyancy created by the barge as it displaces some of the water. You can experiment with different ways of arranging the pennies on your barge to keep the buoyancy greater than the gravity and fit more pennies in your barge before it sinks. Fold a 4-inch-by-12-inch strip of tin foil so it is about a half-inch wide and 12 inches long, and set the strip of tin foil down on a table. Place a C battery -- negative end-down -- on top of one end of the tin foil strip. 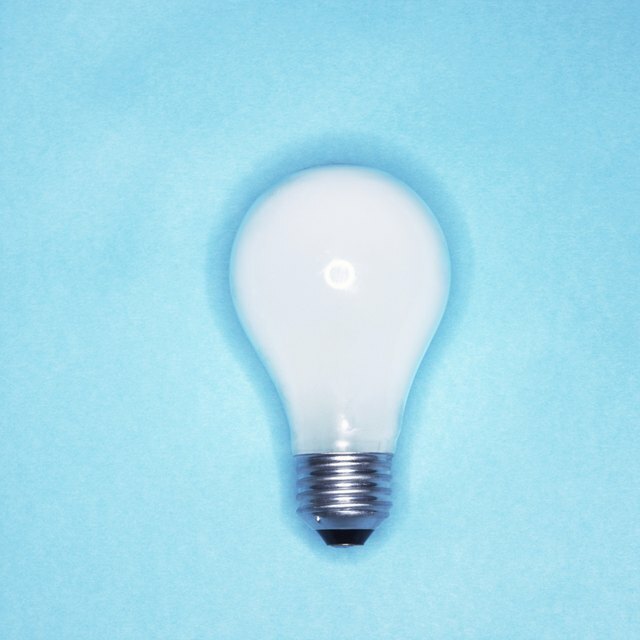 Touch the metal base of a light bulb to the positive end of the battery. Then, while the base of the bulb is still in contact with the battery, take the free end of the tin-foil strip and touch it to the metal base of the light bulb. Because the tin foil completes a circuit between both ends of the battery and the base of the bulb, the bulb will light. Tape a large sheet of tin foil to the top of a table. Then, cut many small pieces of tin foil and wad them up into balls that are approximately the size of corn kernels. Don't wad them too tight, however. You want them to be light. Place the foil balls onto the taped-down sheet of tin foil. Blow up a balloon, and then rub the balloon against a piece of wool to charge it with static electricity. Slowly lower the charged balloon toward the sheet of tin foil, and as you close in with the balloon, the foil balls will react to the static charge and begin jumping like exploding popcorn kernels, but won't stick to the balloon. Ask yourself why the foil balls are attracted in this way. The balloon is charged with positive ions. What does that say about the charge of the foil balls, and how energy seeks balance? You'll need a balloon, a glass bottle with an opening small enough that it can be covered with the mouth of a balloon, 20-percent-hydrochloride drain cleaner and tin foil. Pour 100 milliliters of the drain cleaner into the glass bottle. Then, cut a 6-inch-by-6-inch square of tin foil. Wad up the foil, drop it into the bottle and stretch the mouth of the balloon over the bottle's opening. The hydrochloric acid in the cleaner will react with the aluminum to produce aluminum chloride and hydrogen, which will rise and inflate the balloon. When the balloon is inflated -- and before it bursts -- pinch the mouth of the balloon and remove it from the bottle. Make sure to use only the amount of tin foil that's recommended because this reaction is volatile. Furthermore, be careful with the produced hydrogen; it is extremely flammable and unstable. Cascio, Christopher. "Tin-Foil Experiments." Sciencing, https://sciencing.com/tinfoil-experiments-12941.html. 25 April 2017.